The building is a unique award winning venue of striking design both inside and out, with lots to see and do. 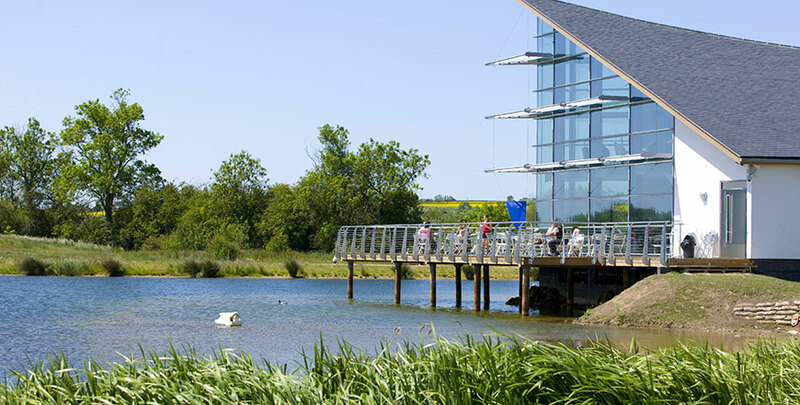 It boasts very impressive green credentials, including rain water harvesting for toilet flushing, ground source heat pump from the lake for underfloor heating, solar roof panels and a sedum roof. The centre is a low carbon building and aims to enhance, not detract from, its beautiful setting. 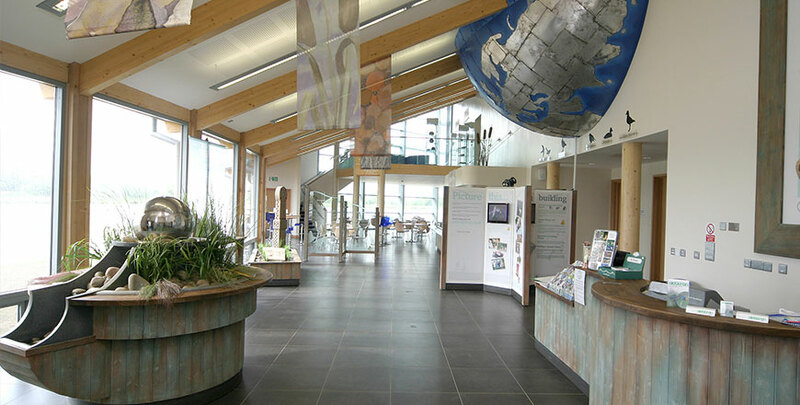 An interactive display can be found in the visitor centre to give you detailed information about the green technology. 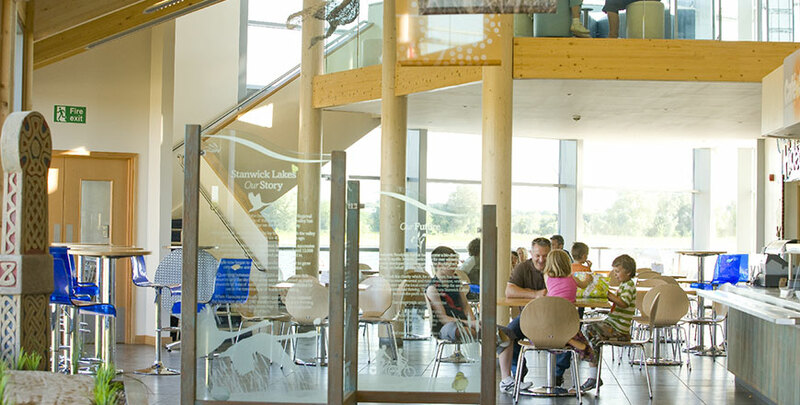 Please be aware that we do not allow bicycles, scooters or children’s ride-on toys in the Visitor Centre. Please leave them in the cycle park area (a padlock may be hired from Reception). Further interpretation explains how the site came to be – from quarry to nature reserve – and information about the flora and fauna that can be seen. A giant globe shows the flight paths that the over-wintering birds take to reach Stanwick Lakes. 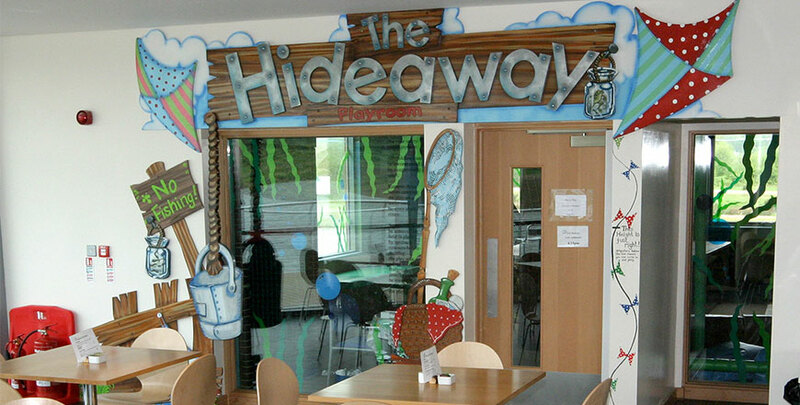 The centre is wheelchair friendly.